Cape Cod is a geographic cape and peninsula that juts out into the Atlantic Ocean in the easternmost part of the state of Massachusetts, in the Northeastern United States. Its historic, maritime character and ample beaches attract heavy tourism during the summer months. 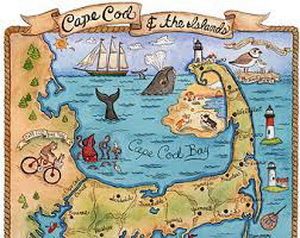 Cape Cod is made out of 15 different towns, each fitting into the "Upper Cape", "Mid Cape", and "Lower Cape". There are many things to do, from Falmouth to Provincetown, Martha's Vineyard to Nantucket. Our staff has many years of trying out new restaurants, experiencing events, and finding the best swimming holes. Please contact us and let us know if you have something in particular that you are looking for. We would be happy to steer you in the right direction.